Rozwiązania dla mediów cyfrowych w punkcie sprzedaży. Media cyfrowe oferują coś więcej niż tylko nowoczesne zakupy. Przyciągają wzrok, inspirują, doradzają, są witryną sklepową, a nawet czymś więcej. Możesz reprezentować swoją firmę, promować wydarzenia i usługi specjalne lub po prostu zachęcać do zakupu. Są zawsze aktualne, niezwykle elastyczne i zmienne. Dzięki najnowocześniejszym technologiom, ekrany, wykorzystując śledzenie mimiki twarzy lub dane profilowe mogą pokazać Twoim klientom doskonale dopasowane oferty. Efektem tego jest wzrost sprzedaży i stabilność w lojalności klientów. Wideo wyjaśniające PRESTIGEenterprise Digital Media. Proste szablony dla profesjonalnego wyglądu. Content is King – ale nie zawsze jest łatwo przygotować dobre treści do mediów cyfrowych. Z pomocą PRESTIGEenterprise możesz tworzyć szablony, które zapewniają spójną strukturę treści i gwarantują, że w Twoim przekazie reklamowym nie zabraknie ważnych informacji, takich jak cena bazowa, finansowanie lub wygaśnięcie depozytu – wszystko automatycznie. Twórz własne treści cyfrowe – szybko, łatwo i automatycznie! 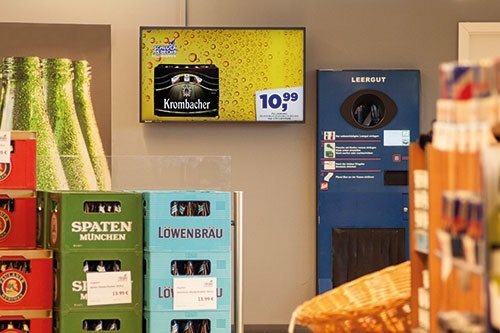 Shorten the waiting time for your customer in typical waiting areas or use the digital eye catchers to communicate promotions, special services or important information in the various departments. Raise the satisfaction of your customers, multiply your sales and increase the relationship to your organisation with an entertaining and informative instore program. 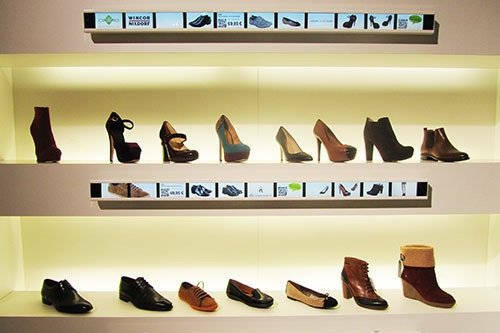 Present your products virtually on the digital Infinity Shopping Shelf. Promote you products, solutions and services by means of image and video attraction and allow you customers to retrieve additional information themselves. The ISS makes it possible to promote products that are not stocked due to lack of space or that are only available as product additions in the online shop. Create inspired customers from waiting customers and an expert from each employee especially at the service counter with the introduction of double screen scales. 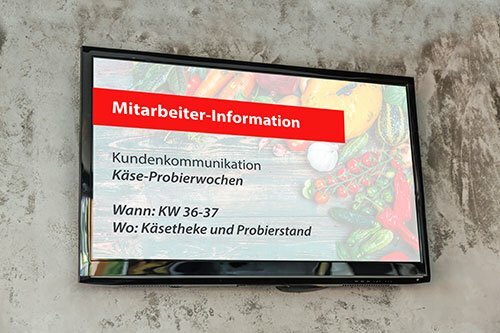 PRESTIGEenterprise contains interfaces to scales from both Mettler-Toledo and also Bizerba that you may use to whet the appetite of your customers with delicious images and to promote the cross selling of products. The checkout zone is the ideal place to animate customers to return. 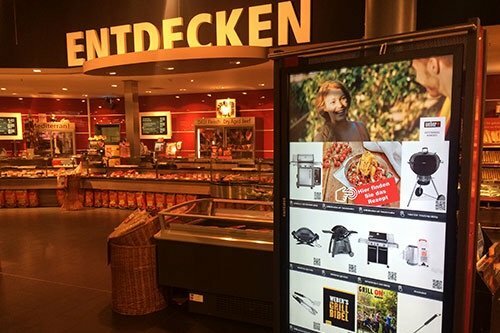 Remain in their memories with information about coming events and offers, special after sales services on screens in the checkout zone or directly on the cash register. But general information about the weather, news and going out tips are also well received by your customers, as the products in their shopping wagons. Many customers desire additional information, but don’t wish to ask, or no sales person happens to be available. You can provide customers an information system in the form of a touch system on which they can interactively obtain the exact information they require and at the same time advise them. Further you can additionally make them aware of add-on products. 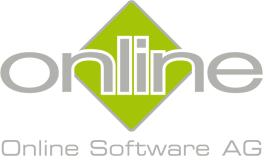 Information from the merchandise management system can serve just as well as content providers as data from the company website or online shop. 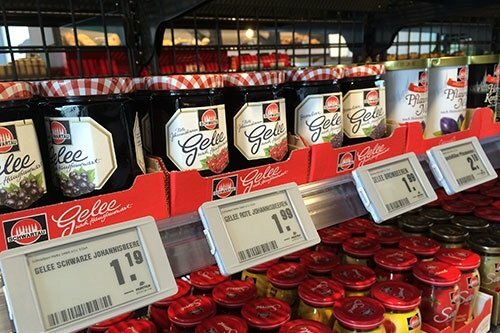 With electronic shelf labels you can update product data, such as price and quantity, at any time centrally – or individually for each store – at the touch of a button, and the connection to the merchandise management system guarantees that the shelf-displayed price always corresponds with the price on the cash register. The newest generation of ESL’s additionally offer you further fantastic capabilities for price communication with small images and two-color accents. 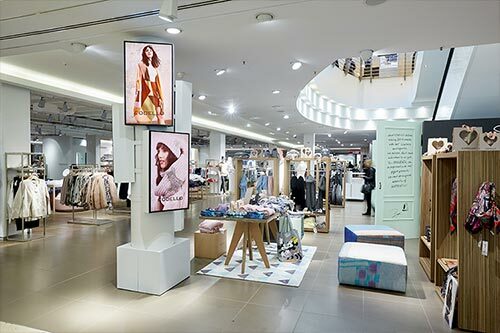 With the small screens that are installed on shelf railings you can especially accentuate important products. 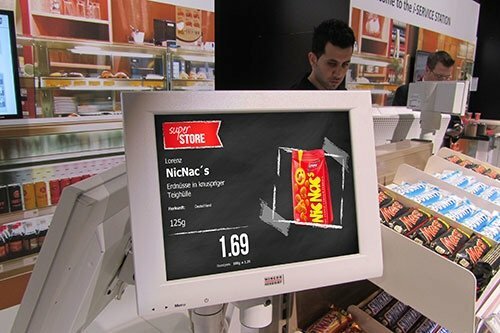 With attention-grabbing animations, videos and images direct the gaze of your customers towards the shelves. Of course always supplement with price information and product data. Content can be changed here just as quickly, easily and effortlessly with PRESTIGEenterprise software as on normal screens. Help your customers quell their need for information and shorten possible waiting times. Animated images convey more information more evocatively. 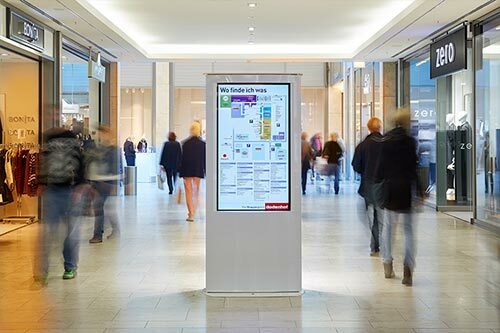 With offers, event information, job listings and general news, captivate the attention of your customers and encourage additional purchases. A perfect location for the perfect infotainment mix. Current beverage promotions, recipes and product recommendations are correctly placed here. Exactly as involvement in regional or social activities, for instance, with the automatic donation of deposit amounts. But the operating instructions are also useful and minimize complaints from misuse. You have the ideas, we have the technology.